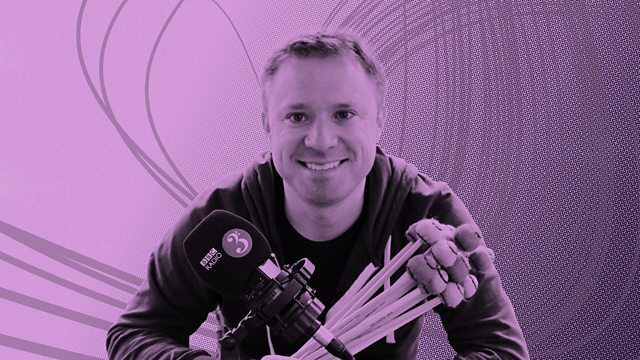 Percussionist Colin Currie opens up a colourful selection of classical music from the inside - revealing familiar and unfamiliar works in a new light. Performer: Håkan Hardenberger. Orchestra: Swedish Chamber Orchesra. Conductor: H. K. Gruber. Performer: Nigel Black. Performer: Laurence Davies. Performer: Laurence Rogers. Performer: Peter Blake. Conductor: Christian Thielemann. Performer: Paul Jacobs. Conductor: Pierre Boulez. Orchestra: New York Philharmonic. Conductor: Philippe Herreweghe. Singer: Sibylla Rubens. Singer: Annette Markert. Singer: Ian Bostridge. Singer: Hanno Müller‐Brachmann. Choir: Chapelle Royale. Choir: Collegium Vocale Gent. Orchestra: Champs-Elysees Orchestra. Conductor: Pierre Boulez. Orchestra: Cleveland Orchestra. Performer: Zoltán Kocsis. Conductor: György Lehel. Orchestra: Budapesti Filharmóniai Társaság Zenekara. Performer: Jordi Savall. Performer: Rolf Lislevand. Performer: Michael Behringer. Performer: Arianna Savall. Performer: Pedro Estevan. Performer: Adela González-Campa. Orchestra: Lahti Symphony Orchestra. Conductor: Okko Kamu.